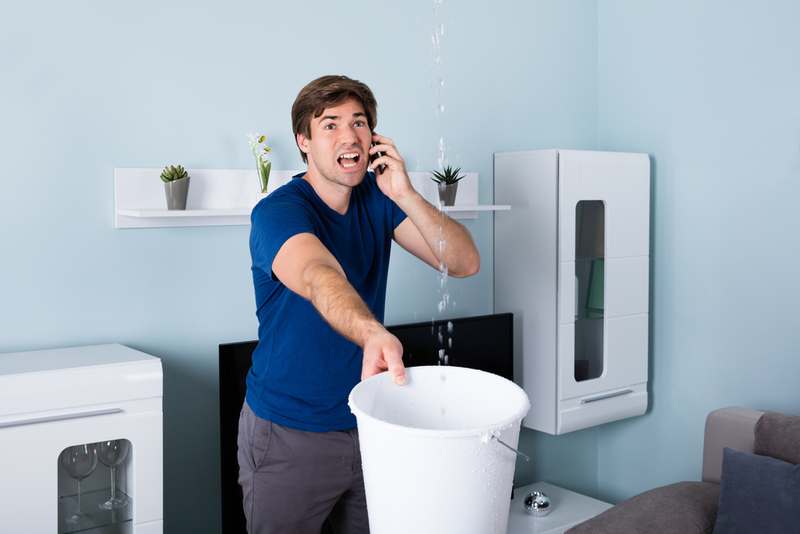 If you’ve been plagued with a recent leak in your home and are having difficulty identifying its source, it can be both frustrating and problematic. The issue lies in the fact that the area where the water is pooling may not be located directly under the source of the leak. It can often take a thorough inspection to find the location and point of entry in your home. If you’re not sure where to start, read on as we provide tips on how to decode your roof leak. Before you start bringing out the tools, check to see when the leak occurs. For example, if it occurs only after a rainy day and dries out afterward this is a good indication there is a roof issue. If the leak is happening rain or shine, then it’s probably a plumbing problem. And if you’re still not sure, check the water quality of the leak – dirty water can indicate a roof leak, whereas clean water points to plumbing issues. To identify the source of the leak, you’ll need to check both the inside of the attic and on top of the roof. In the attic, you should look for areas that have water ring marks, softened surfaces, or bubbling. You may need to remove the insulation and look between the roof joists to identify the source. The problem may be a hole, so look for any signs of light shining through. If you do find a hole, place something through it so it sticks will up out of the roof, making it easier for you to identify when you go to patch the top. Be careful not to make the hole bigger, of course! If there are no visible holes the water may be leaking through from the flashings or the shingles. Document any areas of moisture damage, mold, or water stains and when you go on top of the roof check all the flashings, vents, and shingles that look like they need repair in the area you found the water damage. If you are having difficulty finding any issues on top of the roof, check your gutters and attached downspouts. There may be a clog that is causing water to get backed up and leak underneath the shingles or flashings. Identifying water damage and leaks is not always an easy task and can also be dangerous. It’s best to leave it to the professionals at Roofmaster who have the know-how and experience to identify leaks and repair them.